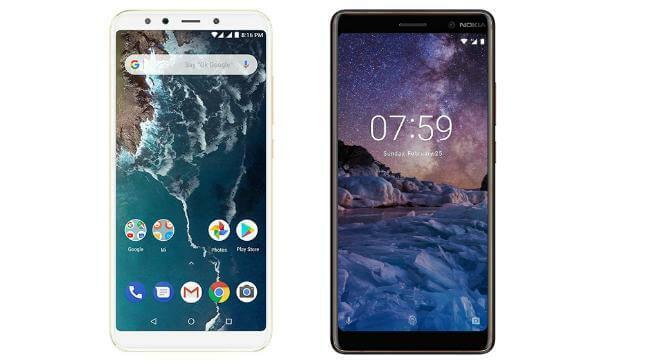 We have Nokia 7 plus and MI A2 both running on Snapdragon 660 and kind of similar features but which one is best for you. Both the phones have stock Android running inside and both cost similar. For now, we know that Nokia 7 plus cost rupees 26000 whereas we don’t know the actual Indian pricing of Mi A2 but it is expected to be of around Rs 20, 000. If you’re looking to buy a phone at a price segment of around 20000 rupees 25000 which one you should buy? MI A2 has a unibody aluminum finish and traditional Xiaomi design dual rear camera at the back and fingerprint sensor. In the front, it has 18:9 aspect ratio display and thankfully there is no notch. It has a 5. 95 inches full HD plus display with the resolution of 1080×2160 pixels. It is an AMOLED panel with the protection of gorilla glass 5. 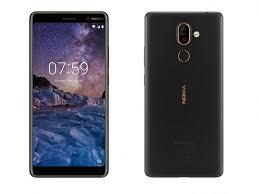 In a similar way, Nokia 7 plus has the same kind of design but it is different from the back and it has the same display of 18: 9 aspect ratio. Nokia 7 plus also has full HD plus display with the same resolution and Aluminium unibody design with the Gorilla Glass 3 protection. Mi A2 has dual camera setup at the rear and single camera in the front. At rear comma it is 12-megapixel primary camera with the aperture size of f/1. 8 and 1. 25 Micron pixel size. It is a Sony IMX 486 sensor. it has a 20 Megapixel secondary camera with the aperture size of f/1. 8 and Sony IMX3 76 sensor. It can shoot 4K videos at 30 frames per second. Whereas Nokia 7 plus has a 12-megapixel primary camera with F/1. 8 aperture and the secondary camera of 13 megapixels with F/2. 6 aperture. Nokia 7 plus can also shoot 4K videos at 30 frames per second. In the front, Nokia 7 plus has a 16-megapixel camera with the aperture size of f/2. 0. MI A2 has the front camera of 20 megapixels with F/2. 2 aperture size. MI A2 has an LED flash in the front and Nokia 7 plus lacks it. In terms of performance both the smartphones are very similar because they are running on the Octa-Core CPU Snapdragon 660 by Qualcomm. They also have the same GPU adreno 512 running inside. MI A2 has three storage variants but it is rumored that only 4GB RAM and 64GB internal storage variant will come to India. so we also have the same Ram and storage options available in both the phones. But there is a difference that MI A2 storage cannot be expanded whereas Nokia 7 plus has the option to expand storage with micro SD card. MI A2 has 3010 MH battery whereas the Nokia 7 plus has a 3800 MH battery. So Nokia 7 plus wins in terms of battery. Both the phones are running on Android 8. 0 Oreo and will get Android P update. Both are stock Android-based under Android one program. There is one more major difference between the phones. Nokia 7 plus has a 3. 5 mm headphone jack whereas there is no headphone jack available in MI A2. 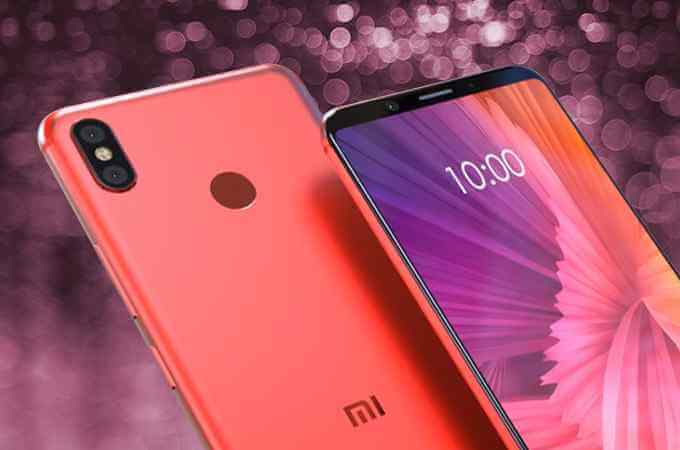 This could be the reason why most people may not buy MI A2. MI A2 is available in 3 different colours black gold and blue. Nokia 7 plus is available in only two colours black and white with copper edges. All in all both the phones have similar kind of features but differences too. Summarising this we can say that if you are looking for higher battery and headphone jack you can buy Nokia 7 plus. But remember, you also have to pay more for Nokia 7 plus. MI A2 is a well packaged device and we expect it to be priced lower than Nokia 7 plus. We will know the price of Mi A2 on August 8 in India and then we will have a clear understanding of which you should buy.